The Heteractis magnifica is a big anemone which sticks to the seabed through a disk. 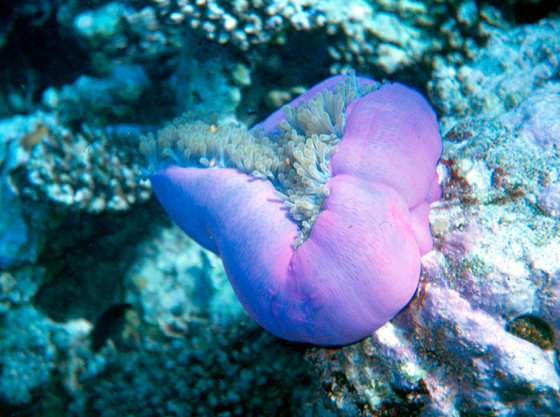 The body of the anemone is bright pink or fuchsia in colour. It can reach 1 m in diameter. It can shrink, so the animal often looks like a sort of bag, with the tentacle tips sticking out, as in the picture.